2009 Jeep Wrangler X Trim: Review, History, Pics - Why Buy? The X trim package was first made available in 2002 during the TJ generation and was carried through for the JK. Initially though the X package was one step up from the base model where as with the JK it was used as the “bare bones” model. Like other trims the X model was available for customization at the dealer including upgrading the transmission from manual to automatic, replacement of the factory softop for a freedom 3 piece Mopar hardtop among other amenities. The X package was available in both SWB and Unlimited along with special right had drive models for US Mail Carriers in the Unlimited version only. An X-S model was also made available with 32in tires on 17 inch rims, air conditioning, fog lights, and other accessories. The X trim was renamed the Sport package for the 2010 model year. Why Buy an X Package? For the 2009 model year the X package was the base trim and thus all thing being equal, was the cheapest of the three trims. So for economic reasons alone the X is a good choice for those on a budget. On the opposite end of the spectrum, an X is a good purchase for those looking to spend a lot of money on upgrades, mods and accessories. Those looking to customize their Wrangler with aftermarket or Mopar parts may want to start with an X package in order to save the extra money that would have been spent on a Sahara or Rubicon, for spend on these add-on parts. This is especially true for those looking to build an off-road rig with greater capabilities from that of the Rubicon package. 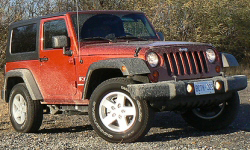 Check out current 2009 X Jeep Wranglers listed for sale on this site. Displayed below are pictures of both stock and custom versions of a 2009 Jeep Wrangler X trim. 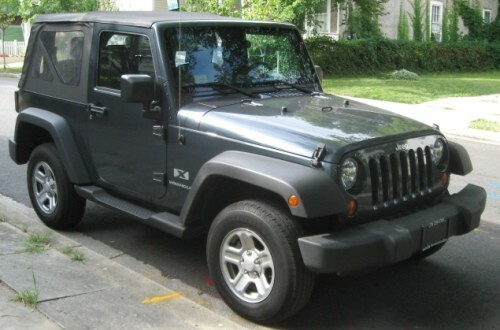 Use the search box above if you are looking for a specific type of 2009 Jeep Wrangler or unique model. If you want to browse by recent listings, trim or state, use the links below.